When I was young my father, who always seemed to catch something when we went fishing, used to harp on about how I needed to learn how to “think like a fish” in order to become consistently successful. Teenage boys rarely listen to their fathers so this advice, which I struggled to understand without some concrete examples, entered one ear and just as rapidly left the other. It is a fact that as you grow older you suddenly discover the wisdom in some of the things that you were once told by your parents as an adolescent and this is certainly the case with this piece of advice. I now understand what he was trying to tell me and I’ll attempt to share what was meant with the “learn to think like a fish” comment. 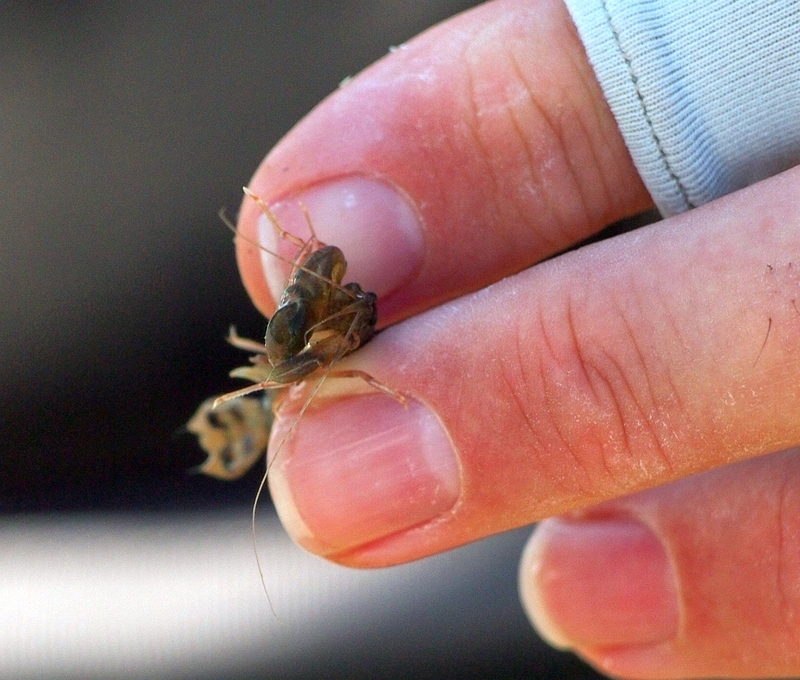 Two things separate the truly skilled anglers from the rest, namely research and observation. The skilled have inevitably done lots of research, either by experimenting on the water or by reading a lot of articles and distilling out the key information, and then modified their techniques to improve their chances of success. It can often be the little details that make the difference (e.g. Hook size, natural drift or presentation, trace or lure weight or depth fished) and these are constantly adjusted during a session to compensate for changing conditions. Secondly, the skilled anglers are almost always very observant and in tune with everything that is going on around them. It is what they see and feel which makes them adjust their behaviour or tackle to constantly make the most of a dynamic environment. I’ll give you some examples of the things that I’ve noticed at my fishing spots so that you can get a better appreciation of what it is like to “think like a fish”. One of the estuaries that I fish regularly is relatively shallow and for most of the year it is lightly fished with minimal boat traffic. Over summer, however, it is completely the opposite. Tourists arrive in droves and suddenly the estuary is awash with trailer boats, jet skis, paddle boarders and kayaks. Whereas for 75% of the year I can stealthily walk onto the estuary at any time of the day and consistently catch fish, over summer it becomes a lottery. Daytime sessions can be uncharacteristically barren. The interesting thing is that the fish do not vacate the estuary they just change their behaviour to feed at night, especially when the moon is full. I know this because the number of feeding holes left in the sand by snapper and trevally increases overnight. Over summer the fish change their behaviour to enter the harbour on dusk and leave again early in the morning. The key to understanding this change in behaviour was noticing the increase in number of feeding holes left in the sand overnight. Once I made the connection it was easy to modify my behaviour to take full advantage. Another thing that I noticed when fishing shallow estuaries is that the predators leave the flats first and hold in the deeper channel holes waiting for the bait fish to come to them as the shallow flats drain. Often they hide in the shade cast by moored boats to increase their chances of successfully intercepting unsuspecting prey. Many predators use shade to gain an advantage, as a fish in shade can spot a fish in sunlight about 2.5 times further away than it can be seen itself. (for more information click on:- WHY PREDATORY FISH USE SHADE TO AMBUSH PREY). This behaviour though is governed by how low the water is at low tide. During the spring tide cycle, when the low tides are at their lowest, predators will not hold in their normal spots as long as they do not want to get trapped in shallow water themselves. In the spring tide cycles they move quickly downstream towards the harbour mouth and do not hold as long under the moored boats. I now can determine very quickly whether the predators are in their normal spots and if not then I’ll move a long way downstream to try and find them. There is nothing worse than following the fish downstream and never catching up. In one spot I fish the difference between normal and Spring tide behaviour is about two hours. That is, you have to get there two hours earlier on an ebbing Spring tide to intercept the predators. This sort of knowledge has been gleaned from observation and experience. Between late spring and late autumn kingfish are regularly found in many northern estuaries at high tide. If high tide coincides with dawn then the action can be frenetic. Groups of kingfish will follow large stingrays into the shallows and nail any flounder that are disturbed by the stingrays. This is a well-known symbiotic behaviour. In the spots that I fish kingfish often move into the shallows when the sun angle is low and behind them. This makes it hard for the flounder to see them and increases their chances of nabbing the temporarily blinded flounder. Look for flats where the rising sun is shining in your face at dawn, maintain a low profile and keep your eyes open. You will see the V wakes from the kingfish and they will come incredibly close to the shore if undisturbed. Again if you understand why, when and where the kingfish will be then it is much easier to formulate a plan to catch them. Always look for temporary rips forming when out on the flats as these are perfect ambush points, especially if there is a deep hole or shelf near the rip. Rips often form as bays are draining and they effectively concentrate bait fish that are leaving the shallow water. 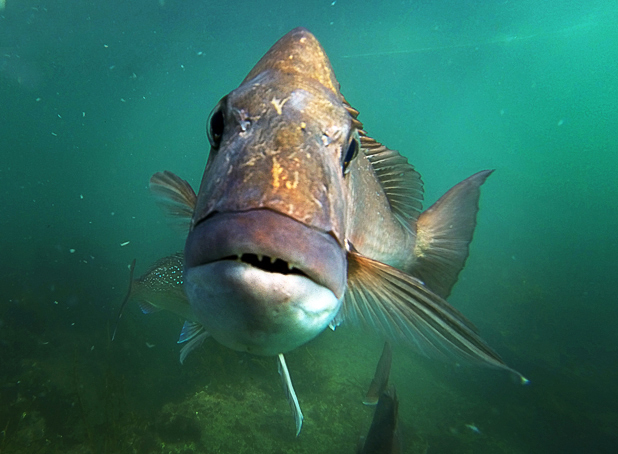 Predators patrol the hole or shelf and attack any fish that is not awake or disoriented by the extra current. Knowing where and when these rips form in the places you normally fish can pay great dividends. 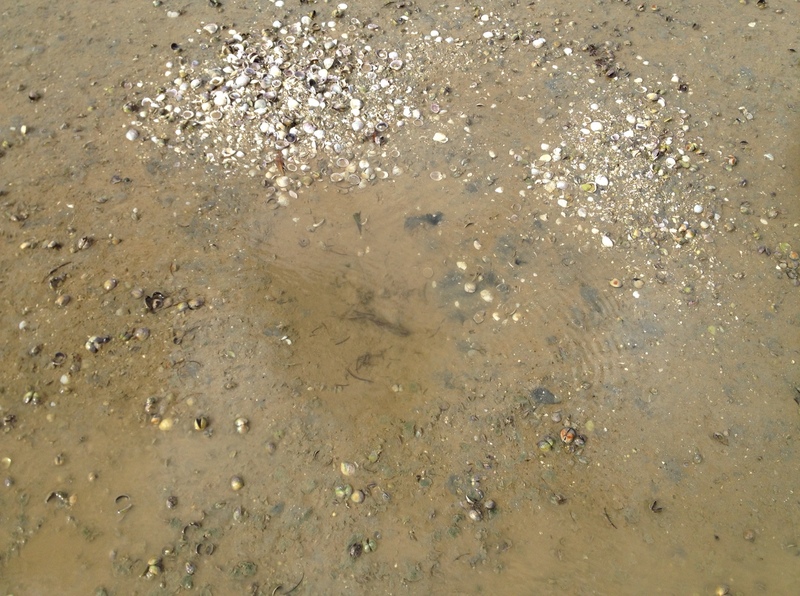 The impact of bad weather on fish feeding behaviour is another thing worth knowing, especially in shallow estuaries. Prolonged periods of onshore wind, coupled with heavy rain, stir up the sand and silt and make it hard for fish to spot and ambush small fish. When this happens, they are forced to hug the bottom and feed on whatever they can find which inevitably means crabs and worms end up more regularly in their diet. When the weather settles, and the estuary is still laden with suspended silt, targeting the bottom with crab or worm imitations is a good option. Fish are mostly cold blooded creatures with tuna and mackerel sharks being the only exceptions. Being cold blooded this means that their metabolic rate is governed by water temperature. As the water temperature cools during late autumn – winter fish become more lethargic and focus feeding activity into short, concentrated bursts. These bursts are generally timed to take advantage of periods of improved water clarity, increasing temperature, bait fish being concentrated by tide or current and favourable light angles. In winter the angler needs to bear this in mind and target times when predators are most active. Cold still mornings, followed by a warm day where the temperature is steadily climbing and the water clarity is excellent, are the best times to fish in winter. You don’t have to spend hours on the water in winter if you can predict accurately when the fish are likely to move. I never fish for more than 2 hours at any of my favourite spots now. Another thing that fish seem to be drawn to is foam lines. Foam is formed when the surface tension of the water has been reduced by the presence of natural surfactants, such as dissolved organic compounds produced by decaying plants and animals, and there is a sourced of aeration. Foam lines are aggregations of foam created by current movement. They are often found when water is strongly mixed with air where rocky substrates have fast currents of water passing over them. It is not uncommon for foam lines to accumulate near the shore due to waves breaking against rocky substrates and outcrops. I’ve had a lot of success targeting foam lines, especially on tough days, and there has to be a sound reason for this. 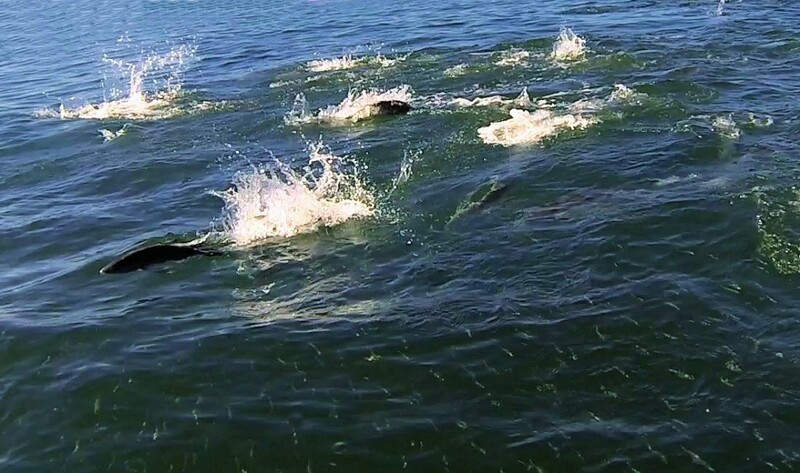 I suspect that the smaller baitfish feed on the food concentrated in the foam and the predators know this, attacking while the baitfish are pre-occupied feeding. Follow the foam lines and go deep so that you are fishing close to the bottom as this is where the predators are holding. In order to survive fish have to consume enough food on a regular basis to at least maintain their body weight. It is dangerous for them to expend more energy to catch a meal than the nutritional value that is gained from eating it. It is widely stated that in order to catch big fish big baits are required but this is not necessarily the case. Big fish are more often than not opportunistic predators and will consume anything that looks normal and edible, especially if it requires minimal effort to catch it. Research has shown that in NZ’s northern estuaries the normal size of baitfish is 6 – 7.5 cm. When I discovered this I focused on using lures specifically in this size range that looked like the bait fish that I was seeing in the margins. I’ve hooked kingfish up to 1 metre long, large kahawai and trevally on these small lures which confirms that big fish will take anything if it is easy to catch. Interestingly, in 20 years of trying I’ve never hooked a kingfish on a lure larger than 12 cm in these estuaries. It is also often possible to sense when predators are around just by observing what any bait fish in the margins are doing. If they are flashing or turning and pre-occupied with carnal thoughts then it is unlikely that there are predators around. However, if they are gathered together and finning nervously then it is because they sense danger. I’ve lost count of the times that I have seen nervous behaviour precede a predator attack and a massive baitfish shower. Many times I’ve been able to hook the predator as it headed back to deeper water. Being ready and able to cast accurately are key skills to have when this happens. These predators are generally aggressive and are easier to hook than land as they inevitably head for structure when hooked. Aside from the points made above, if you really want to “think like a fish” then you have to be prepared to invest time to up skill. Reading technical articles is a great start to build a knowledge base but there is no substitute for spending time on the water with someone who knows what they are doing. Find a mentor and watch what they do. Write the key things down so you don’t forget them. My final recommendation is to learn to look for the unusual. Investigate things that don’t seem quite right, especially when you see them out of the corners of your eyes. Trust your instincts and become inquisitive. Only then will you start to “think like a fish”. Thanks a lot for sharing your knowledge. I really appreciate that. Cheers!! !